These days almost all Android smartphones come with earphones that let you listen to music and answer calls as well. These headsets usually come with minimal features that are only useful to picking up the calls, pausing the music, and ending a call. 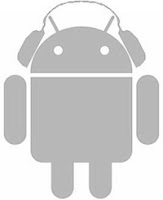 However, since the world of Android isn't limited in any way, your headset can also be tweaked to make sure that you can do as many things as possible without touching your phone. Headset Button Controller is an app that I personally use on my smartphone to make sure that my headset (wired) can play, pause, fast forward, and rewind songs without me having to take my phone out of my pocket. What I love about this app is that it lets you assign different clicks to different functions. So, one click is play/pause, two clicks fast forward and so on. You can also set a long press in such a way that it opens an app. On my phone I've set it to open Google Now so that I can do quick voice searches while on the train or bus. Another important feature in this app is the ability to set different profiles for different players. So, if you have an Audiobook player on your phone, you can configure a different set of actions for each button press. Similarly, you can create your own personal profiles for each player. Overall, this is a must-have application if you want to make the most out of your smartphone's earphones. 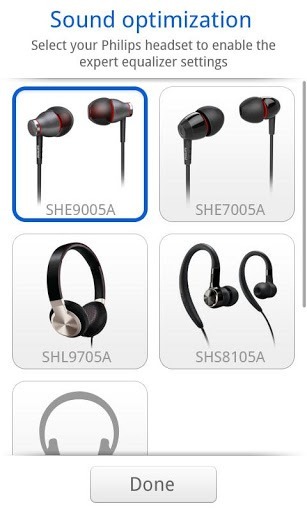 Though Phillips doesn't make Android phones, they are known for their excellent-quality earphones. However, even though these headsets might be suited for an MP3 player, they don't work as well for functions like taking calls, changing volume, and changing tracks, in other words, functions that let you control your Android phone. Thankfully, though, you can use your headset as if it's a native headset by installing the following app. Philips Headset is an app that optimizes your phone's sound depending on its model number. So, for example, you're using the Philips SHE7005 headset. The app will automatically change the sound profile so as to optimize itself to match with the headset. Moreover, the app also lets you control your music, calls, and other compatible functions using the buttons on your headset. Written by: Abhishek, a regular TechSource contributor and a long-time FOSS advocate.